Kosmos eSync is built with the latest technology to make connecting cloud applications and APIs a breeze. 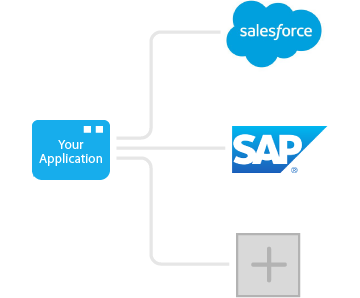 Create a single integration that connects to many of the world’s leading applications. If a application isn’t supported we can set up a connection to most APIs in 10-30 days. No re-keying and reconciling data, or imports and exports. Data automatically flows between applications daily, hourly, or by the minute. We take care of maintaining the connections and handling errors for external APIs. Connect your application to eSync and automatically connect to all the applications we support now and in the future. Connecting applications with eSync is easy. Choose from a selection of pre-built connections, or if a application isn’t supported we can set up a connection to most applications (APIs) in 10-30 days. 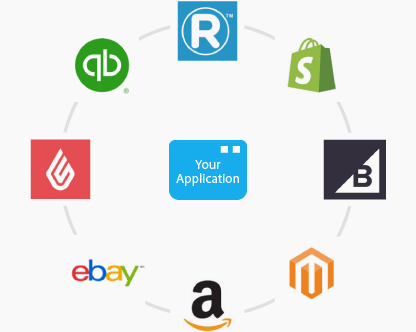 Once your application is connected to eSync we can set up connections to new systems as your business grows and applications such as, CRMs, and ERPs enter the picture. Save time by automating repetitive tasks and avoid issues related to manual data entry. Get accurate insights into your business by automatically sharing data across applications. Keep your existing applications and devices and add new capabilities by connecting to 3rd party applications and services. Quickly utilize new technologies by feeding your existing data into new applications. Improve sales and customer retention by supporting customers with integration needs. Get opportunities to market your application on our website and 3rd party marketplaces. Get paid commissions for referring new customers. Let us handle development and maintenance for integrations with 3rd party APIs.